Mark your calendars: The Walking Dead officially has a return date! AMC announced at Friday's San Diego Comic-Con 2018 panel that the post-apocalyptic zombie series will air its Season 9 premiere on Sunday, October 7. That means you have just under three months to wait for new episodes with Rick Grimes (Andrew Lincoln), Michonne (Danai Gurira), and the crew! After a combined 11 seasons of zombie-infested chaos, this franchise has delivered a myriad of unresolved storylines. 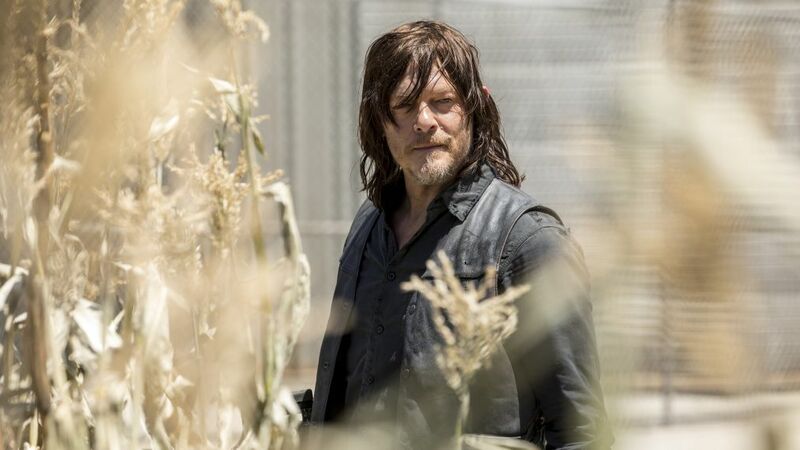 Of course, this also means we're that much closer to the final episode with Andrew Lincoln and his former sheriff character, as creator Robert Kirkman confirmed Thursday at the annual even that the actor would be exiting sometime in the ninth season. We'll have to wait and see how Rick's departure will be handled, but the newly-released Comic-Con trailer may give some hints — watch below! The almost six-minute long video kicks off with an older Rick, demonstrating that time has passed by saying, “it’s been a long time since we’ve had one of these talks." You're telling us — it looks more like the 16th century than the future! We also see Negan (Jeffrey Dean Morgan) imprisoned, the survivors starting to break down and fall apart. Looks like we're in for a wild ride! Stay tuned to TV Insider for more details from the panel as they come!